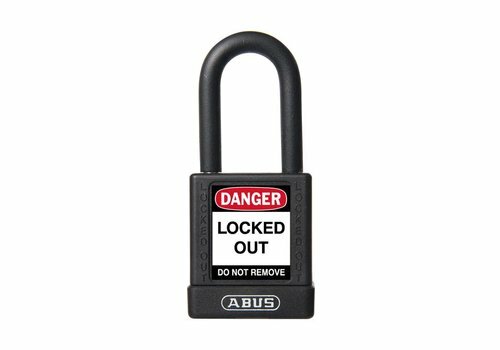 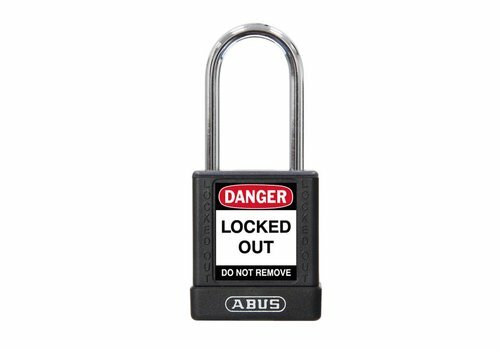 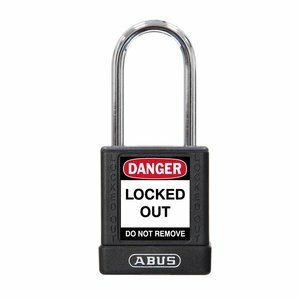 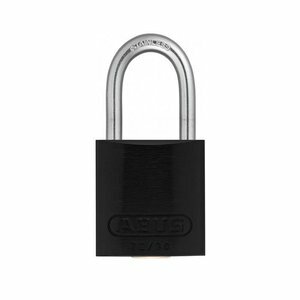 Compact anodized aluminium padlock black with a (4.70mm) aluminium shackle. 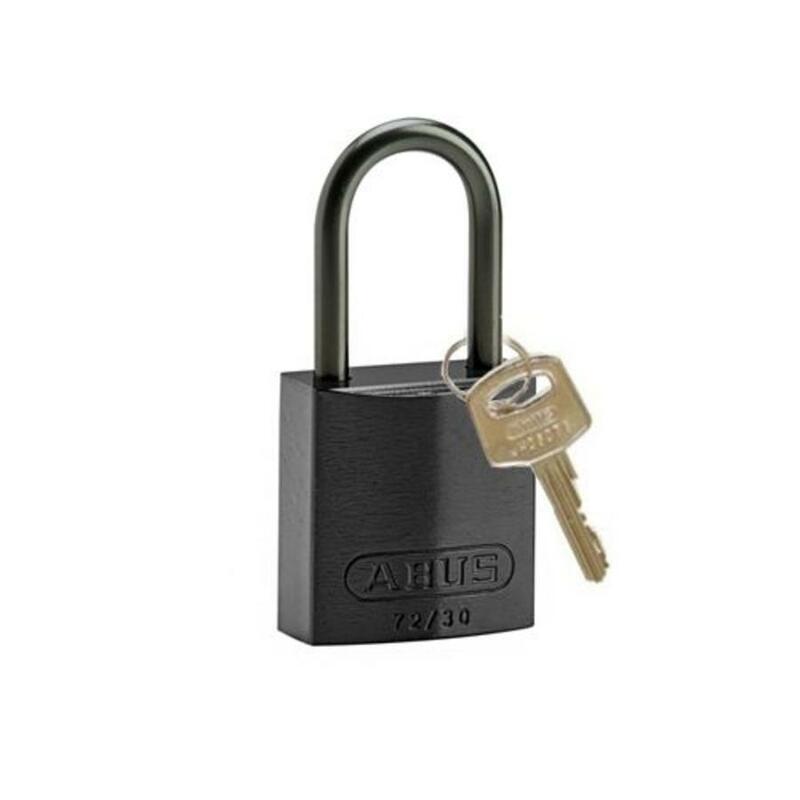 Aluminium padlock black with (4.70mm) aluminium shackle. 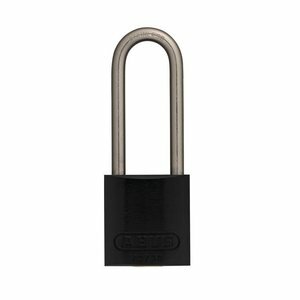 Key retaining (when shackle is open). 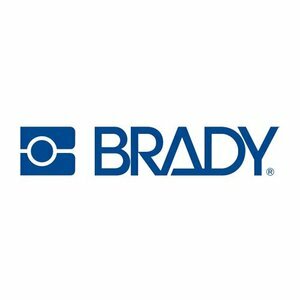 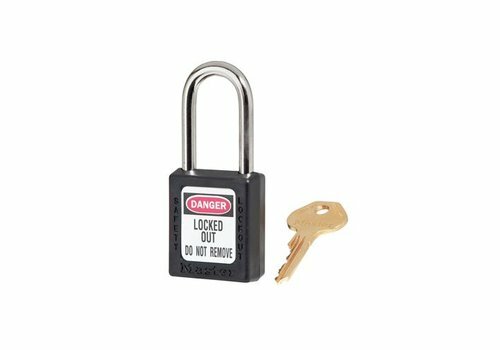 Compliant with regulations: 1 employee = 1 padlock = 1 key (OSHA). 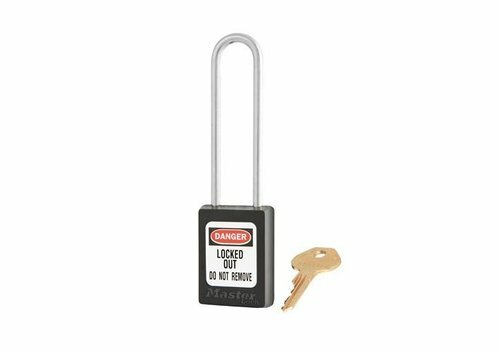 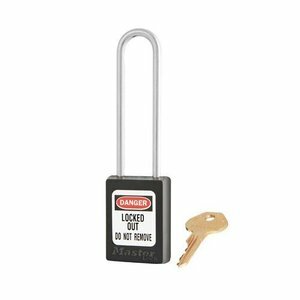 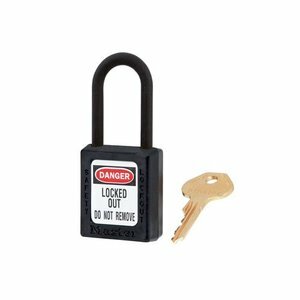 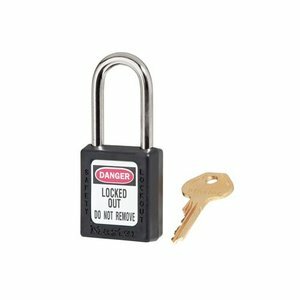 Zenex composite safety padlock black with a (6mm) hardened steel shackle and key retaining function. 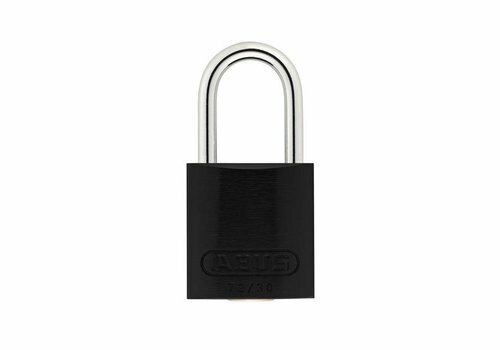 Compact anodized aluminium padlock black with a (4.70mm) stainless steel shackle. Compact anodized aluminium padlock black with a (4.70mm) NANO Protect steel shackle. 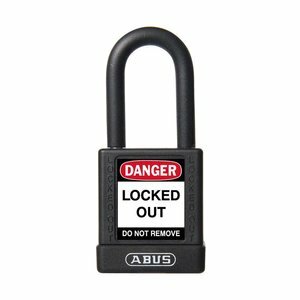 Zenex composite safety padlock black with a (4.76mm) stainless steel shackle and non-key retaining function. 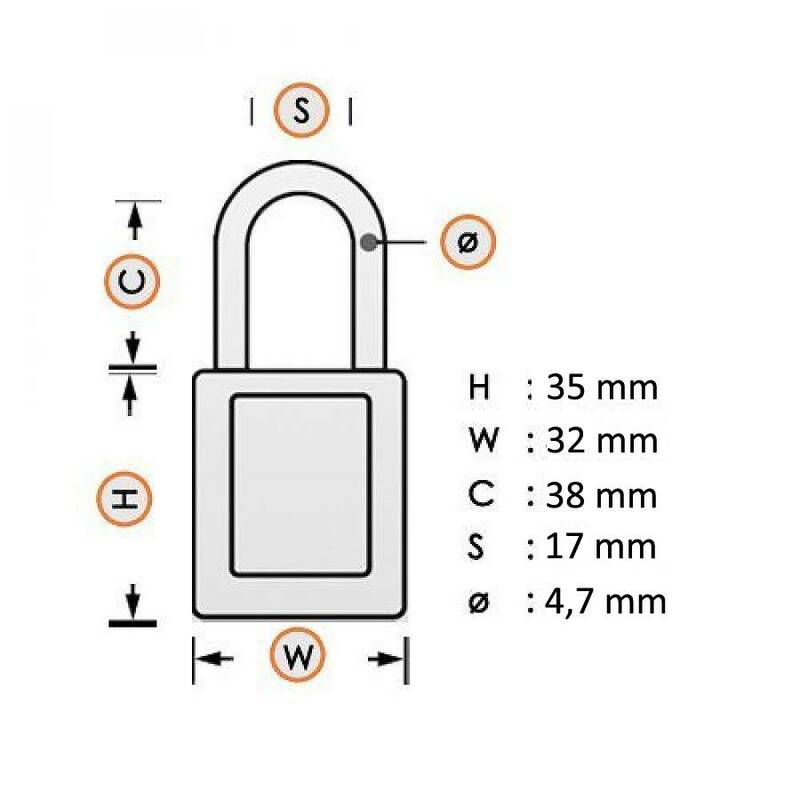 Aluminum safety padlock with black composite cover, insulated steel shackle (ø 6,5mm, H 38mm) and key retaining function. 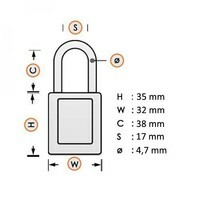 Aluminum safety padlock with black composite cover, steel shackle (ø 5mm, H 38mm) and key retaining function. 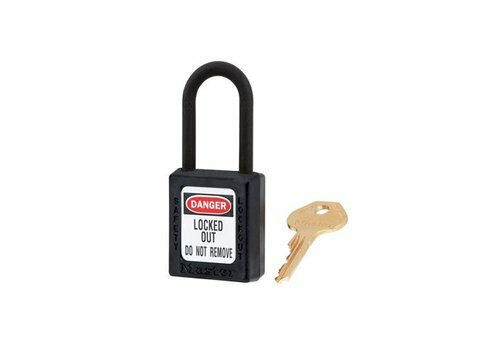 Zenex composite safety padlock black with a (6mm) nylon shackle and key retaining function. 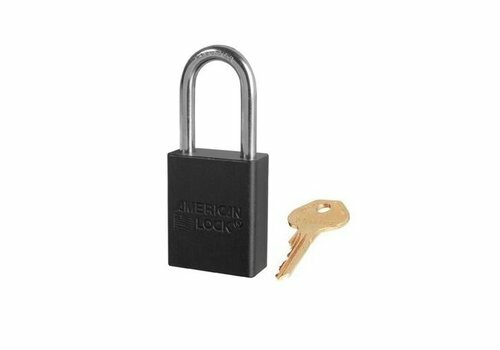 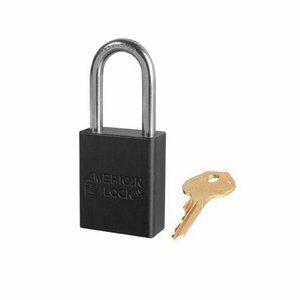 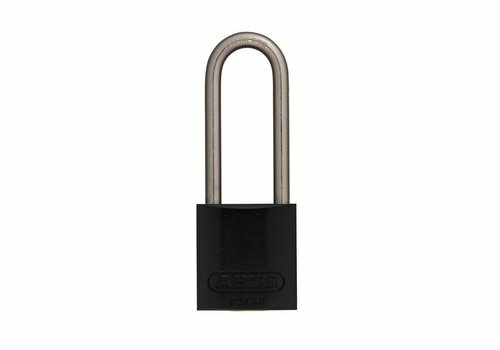 Anodized aluminium padlock black with a (6,35mm) long hardened steel shackle.